Kosher is the Hebrew word for “fit” or “appropriate.” A kosher food comes from neither dairy or meat sources, and cannot be mixed in preparation with any milk or meat products. 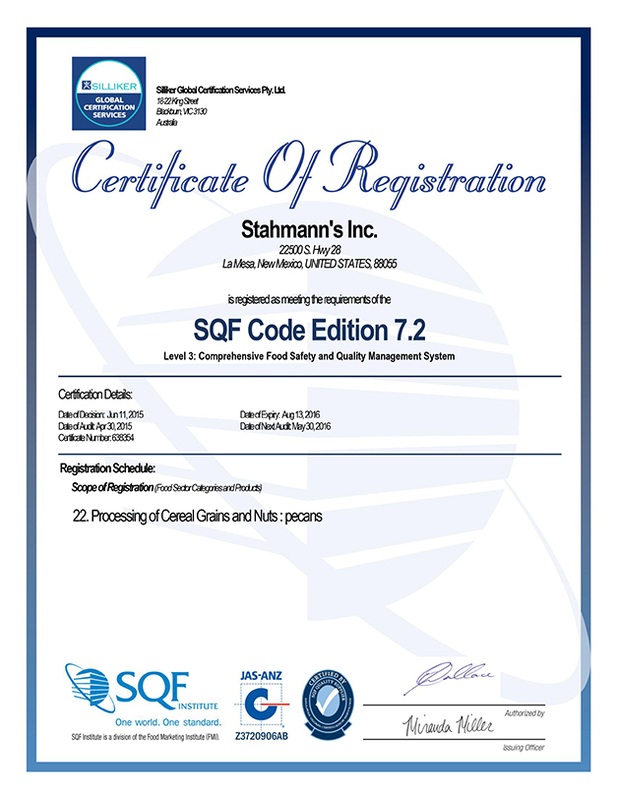 In order to earn the Star-K Kosher certification, Stahmanns must follow the strict requirements for food processors that are supervised by a group of rabbis and food specialists to assure that they are approved for consumption by Jews all over the world. And don’t forget to target your kosher pecans to those markets that always buy kosher products. Marketing environmentally friendly pecans for gourmet goods and specialty foods is a breeze with the Star-K Kosher certification. At Stahmanns Pecans, we take great pride in our estate grown bulk pecans. We ensure top-quality, Kosher certified bulk pecans, and handle the entire process from growing to shipping for clients around the world. Contact us to find out more about our wholesale-certified pecans at pecans@Stahmanns.com or 575-526-2453, ext. 108 to get started.